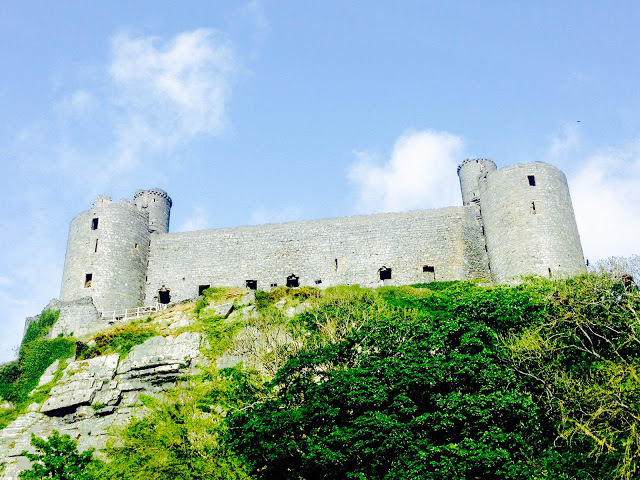 Looking for things to do in Harlech, North Wales? Ok, so I might be a little bit biased about Harlech because I used to live there. We moved from Scotland last year and rented a place in the town before deciding whether we would officially stay in Wales. I was certain I'd be horribly homesick. As it turns out, North Wales has the friendliest, warmest people I've met and it's so incredibly beautiful that I haven't actually missed Scotland at all (family and friends aside!) I feel a bit guilty about that, but I totally blame Wales for being so welcoming. The Castle is quite spectacularly positioned on a massive cliff face, taking pride of place at the top of the town and standing some 200 metres high. It is considered by UNESCO to be one of the finest examples of late 13th Century/early 14th Century military architecture in Europe. The views, both of the Castle from the streets below, and from within the lofty heights of the battlements themselves, are not to be missed. The Castle is managed by Cadw and is open year round. An adult ticket is £4.75. Family tickets are also available. There is a pay and display car park nearby and the Castle has recently undergone the building of a new bridge, a new Caffi, and a fabulous new visitor centre. Llew Glas is a beautiful Café and Deli in the little square in Harlech town and is one of the friendliest places I've been since we arrived here. As I spent a few years inspecting visitor attractions and assessing customer service for VisitScotland, I hate bad or lax service. From the moment I first walked into Llew Glas, we were afforded brilliant service, friendly chat and made to feel like friends. The interior is beautifully decorated and I spent a bit of time sniffing at the homemade candles and other wonderful Welsh produce on sale. There's also a brightly painted array of picnic tables outside where you can enjoy coffee and cake in the courtyard outside. 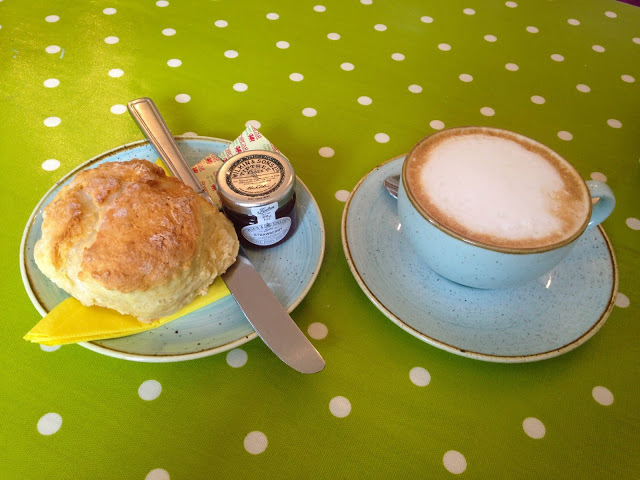 There's a sign outside proclaiming the sale of the Best Scones in Harlech and, being a fan of anything baked, I just had to try a huge lemon drizzle scone, complete with jam and cream. And he wasn't disappointed. I had fantastic coffee and we spent a lovely half hour relaxing and chatting. It's a great spot for a break. Even better for a rest if you've just conquered Fford Pen Llech. There are loads of fantastic walks in and around the area, with lots of clear signage to boot. 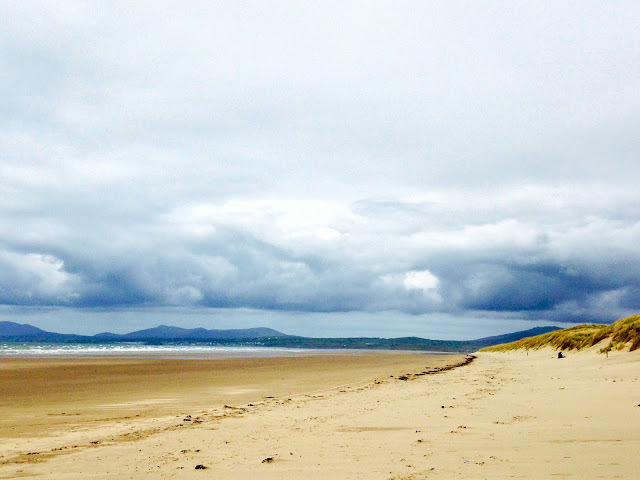 We recently walked right to the top of Harlech to gaze out across the Irish Sea. It's a beautiful spot. We ended up walking 14 miles in quiet countryside and the scenery was glorious. As we're part of Snowdonia National Park, the walking here is impressive to say the least. The local beach is located just past the secondary school and lies just off St David's Golf Course. 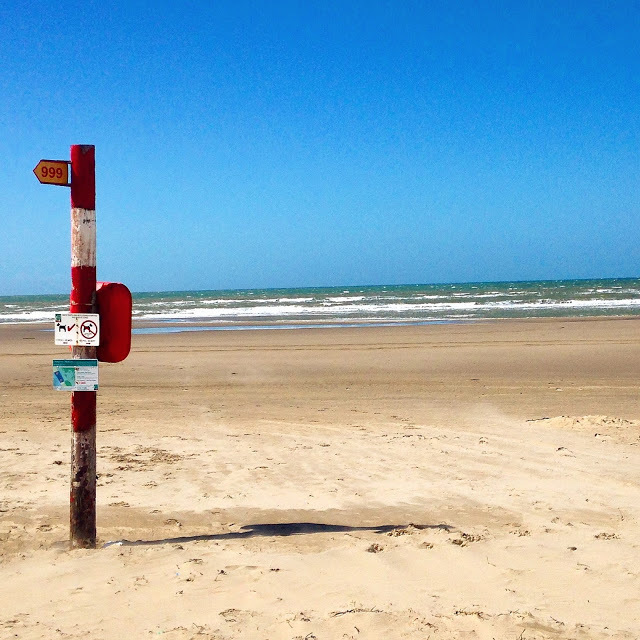 The beach has a Seaside Award and Green Coast Award and is a peaceful area, popular with walkers and dogs. You can wander along and check out the distant hills, or head south and explore the zigzag path that takes you round the coastline to Llandanwg. It's a great spot to take a break and read a book in the sun. Starting in the car park in Beach Road, you can follow the 14 stop trail around the town and surrounding area and see the golf course where English Poet and Novelist, Robert Graves, played while recuperating during WW1; pass the secondary school where The Golden Compass Author, Phillip Pullman, studied English, and visit the childhood home of Welsh novelist, Mari Strachan, author of Blow On A Dead Man's Embers, which is set in Harlech in the aftermath of The First World War. Llanfair is around a mile outside town and is easily accessible. The slate here is Pre-Cambrian and amongst the oldest in the world. You can descend to the lower levels down Jacob's Ladder and walk through the tunnels and caves. On exiting the caverns, the views of Cardigan Bay are impressive; particularly on sunny days where you can see for miles. If you have children, there's also a popular Children's Farm Park on the site to keep the wee ones occupied. 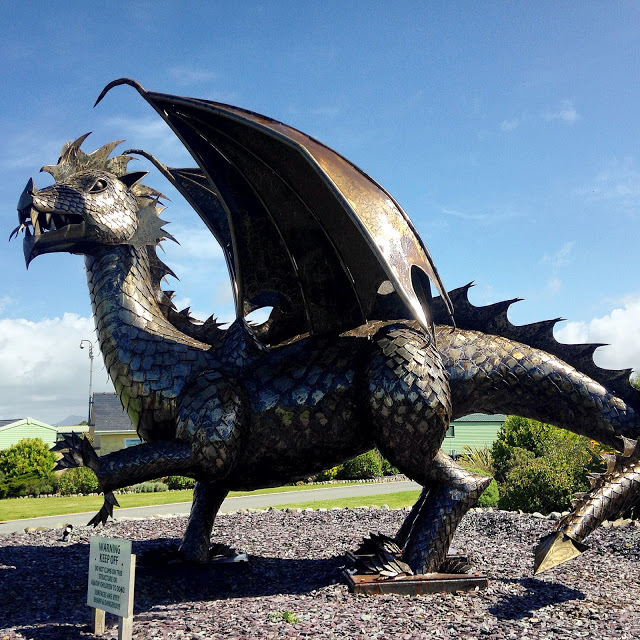 Dewi is a 16ft long, 11ft high and 10ft wide metal dragon, who guards the entrance to the Min Y Don Holiday Park on Beach Road in Harlech. He comprises 2,500 metal scales and took approximately 732 hours to sculpt. He proudly stands, shining in the sun, watching over his residents. I stumbled across him on my first week in Harlech and couldn't quite believe my eyes. He's a magnificent beast and well worth a trip to see. Really nice work on this article, I enjoyed it.